This is the first time my real life story is going to be live for the people of the World. Till now I was living my life with my own surroundings, now it will be no more that much of hidden. I am a very simple person from Kolkata, India. I started my career with IBM ACE i.e an IBM education wing, as a Technical Teacher. I used to teach my students several subjects like C,C++, Perl and PHP. Although I was teaching many subjects my focus was in PHP starting from 2003. In the early days of 2009 I came to know about WordPress. From the first few days I was struggling with the Administrative panel and other services. In 2009 end I decided to step down from my job and started differently. I started development work and also continue teaching the students. I was decided to develop the websites and web applications with the WordPress only, and I got the version called `Carmen` 2.9 which was a relief for me to handle the CMS. I got some help from my students and friends who were engaged in WordPress development at that time. They teach me how I can handle the WordPress more proficient way. I learnt how to develop WordPress themes, started developing the plugins. I started developing the website using WordPress from 2010 onwards. Later on 2014 I started developing WordPress theme for the Themeforest Market place. I also started developing the plugins which helps my development process to run smoothly. My life started changing from 2010 when I started developing with WordPress. The instability of my life was changed into a stable life, which was beyond my expectation. I was living a good life with my family. What else I can expect from WordPress. Apart from developing the Websites and other application, I started my research on how the development process can be more smoother and flexible. I started working on WP CLI to developing the automated process for WordPress. I developed a script that helps developers to install the WordPress flawlessly using WP CLI. My linux knowledge also helped me to write shell scripts. The script can be found in my account at github. I am also trying to get into the easy deployment process with CI/CD for the developers using Bitbucket Pipeline and AWS. I slowly become an expert on the theme approval guidelines of Themeforest Market place. Apart from that I started writing blogs on the various topics related to WordPress. Achieved almost 3K reputation in StackOverflow. Developed Plugins in wordpress.org. Even though I was developed many plugins and theme I never thought of uploading that in wordpress.org. I start realizing that to help many more people in WordPress, wordpress.org will be a better place than StackOverflow. I joined Kolkata WordPress Community who was planning the WordCamp Kolkata, and thankfully they have selected me as a volunteer. Mr Subrata Sarkar( WordPress Core Contributor ) and the team who recognized me and give a huge responsibilities in WordCamp Kolkata 2019. It was again a tremendous experiences with WordPress. Since that was my first WordCamp I tried to fulfill my responsibilities. 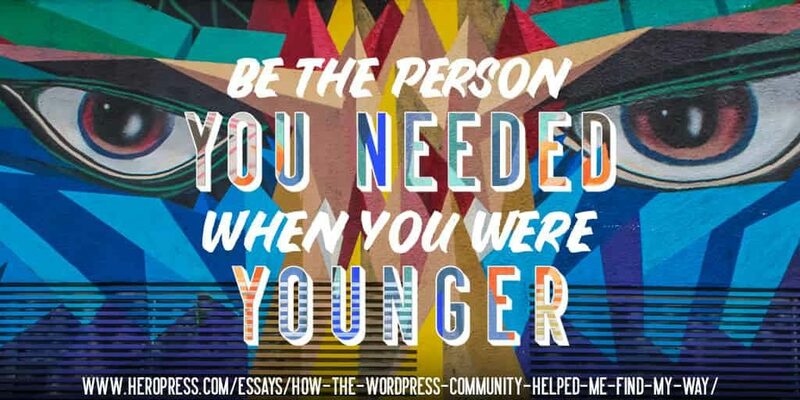 Become a Volunteer I learnt to be more polite and more decent to the people, make many more friends from different regions and countries. There are many people who inspired and helped me during my journey, its small tribute to them by mentioning a few : Abhik Goswami, Sneh Sagar Prajapati, Prabhas Chowdhury, Debobrata Debnath, Prosenjit Manna, Sk. Shamim Ullah, Soumit Pal, Subrata Sarkar. Be polite to others. Be friendly to your Juniors and fellow developers. Try to teach them rather pointing to the mistakes. Attend Meetups. Contribute to the Community. 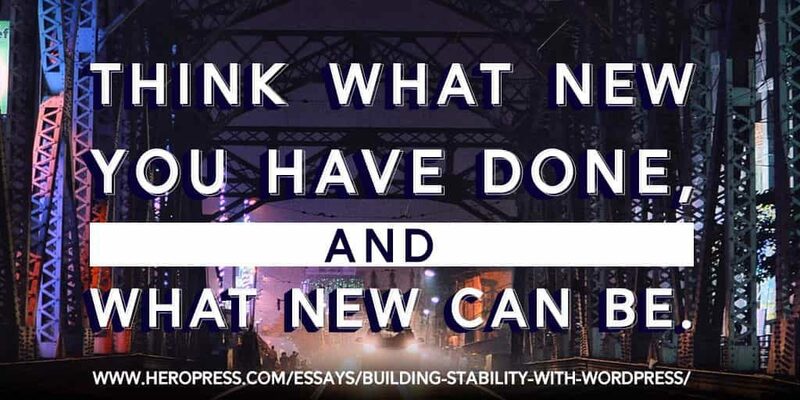 Think what new you have done, and what new can be. WordPress র সাথে পরিচয় ২০০৯ এর December এ, শুরু থেকেই ভালো লাগা. Website বা Plugin বানান দিযে কাজ শুরু করি ২০১০ এ. তারপর থেকে শুধু WordPress এই কাজ করে চলেছি . ২০০৯ এ যখ্ন চাকরি ছেড়ে শুধু development র কাজ শুরু করি সাথে পড়ানো ও চলতে থাকে. কিছু Friend আর Student দের help নিয়ে WordPress self learning চলতে থাকে . ২০১৪ সাল থেকে themefores এ theme বানান শুরু করি. ধীরে ধীরে আমি আমার সামনে চলার পথ খুজে পাই. আমি themeforest theme approve guideline expert হয়ে উঠি. আমি github এ আমার wpcli experiment করতে থাকি. Automation আমার main target হয়ে ওঠে. Stackoverflow ছাড়াও wordpress.org তে plugin তৈরী করি. WordCamp Kolkata 2019 : এখানে volunteering অনেক নতুন মানুষের সাথে আলাপ হয়. বূঝতে পারি Community কে enjoy করতে, জানতে পারি কি করে community কে কি করে return করতে হয়. আগামী দিনে আমি WordPress র popularity বারিয়ে যেতে চেষ্টা চালিয়ে যাব. The post Building Stability With WordPress – WordPress এবং স্থিতিশীলতা, বাংলা তে পড়ুন appeared first on HeroPress.